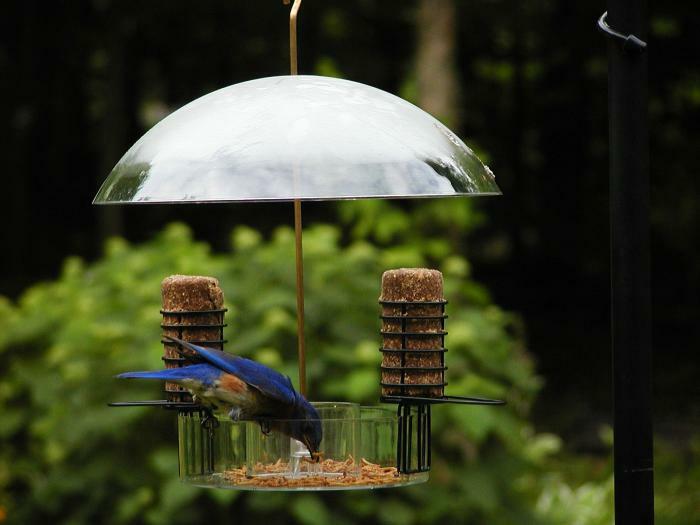 Give your birds a reason to flock to your yard with the Birds Choice Supper Dome. The Supper Dome is like three feeders in one. On the ends of the feeder, removable wire holders allow you to put out suet cakes for birds like woodpeckers and chickadees. Two separate feeding compartments in the center of the feeder allow you to mix and match various bird foods. In the smaller compartment, you could offer mealworms, and in the larger one, you could put out seed. 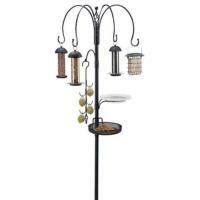 The feeder will accommodate any type of food, from peanuts and sunflower seeds to jelly and fruit. When you offer such a delicious smorgasbord of food, it's only reasonable to want to keep it fresh and dry. Fortunately, the weather-resistant dome prevents the food from getting wet and offers cover to the feeding birds. Even though versatility is one of the Supper Dome's biggest assets, the feeder also prides itself on craftsmanship. Not only does it come with a lifetimes guarantee from Birds Choice but the feeder is made from high-impact polycarbonate and includes a durable brass rod for hanging. With the ability to offer a variety of bird food and a resistance to different weather conditions, the Supper Dome is the perfect year-round feeder for all of your backyard birds. For more information on the featured product, head over to the product page for the Birds Choice Supper Dome. This feeder is perfect for the 2 sets of bluebirds who produced babies this year. I provided meal worms and their other recommended foods. I hope they return next year. My favorite bird! It is light weight and swings in the breeze a lot; might be better mounted on a stand. Bought it to provide meal worms for our resident Phoebe who seems to care less so we are disappointed. The finches and sparrows like the worms just fine! Nice over-all feeder. And, standard seed sticks fit in the provided holders. This is a plus since suet would only melt here, even in winter time.